Welcome Home to this Fantastic Cape Cod style home in Spin Lake! 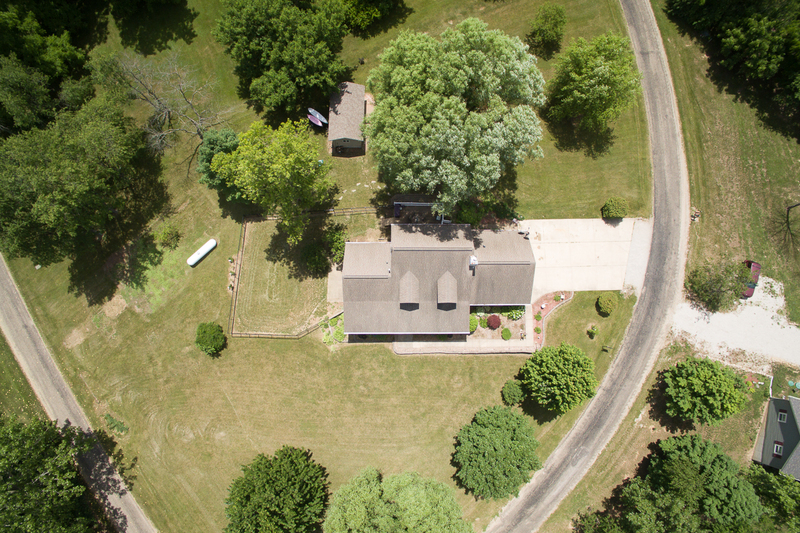 It sits on 1.05 Acres in the Country, has a first floor Master Suite, and finished walk-out basement to the fenced yard! Enjoy the relaxing view out to Spin Lake from the large covered front porch. Inside you’ll find a spacious, open eat-in kitchen with granite countertops and large island. Off the kitchen is a half bath, utility room, and pantry! Master bedroom features a large full bath with whirlpool tub, dual vanity, and custom walk-in closet. Second story overlooks the living room w/ gas fireplace and boasts two bedrooms & a full bath. Lower level has a large second living space with the walk-out to the yard, two bedrooms (no egress) and another full bath! You can also take advantage of all the trails for hiking and biking Spin Lake has to offer! 10×24 Storage Shed w/electricity & garage door remains. RO Water System. New HVAC May 2018. Radon system in place. The two bedrooms in the basement do not have egress windows but they are in proximity to the walk-out basement access.